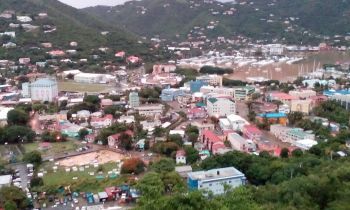 ROAD TOWN, Tortola, VI - During a press conference on Wednesday May 2, 2018 at the Department of Disaster Management (DDM) conference room located at Simms Mini Mall, Jeremy W. Hodge, Deputy Secretary for the Ministry of Communication and Works, explained that his department has sought advice from experts abroad for a “fresh pair of eyes” to develop a system or plan that anybody can follow in the future. Dr Nick P. Jarritt, Director for the Water Management Amec Foster Wheeler Environment and Infrastructure UK Ltd., conducted a study that focused on the options for flood reduction in Road Town and other areas while mapping the levels of risks, identifying cost-effective drainage improvements, and developing drainage policies and plans. The study began in May of 2017 and it’s said to be completed by July of 2018. In explaining his point, he recalled an experience where a business owner was having issues with flooding on her property that she never had before and the department brought all their engineers to look at the problem but they could not figure it out and one of the engineers said “he wish so and so was here because he could have figure out the problem but he passed on”. Mr Hodge further explained that the study is a very beneficial tool to guide the Virgin Islands (VI) in its rebuilding process. In addition, the Deputy Secretary pointed out that the study includes a comprehensive programme that will develop a ‘contingency plan’ for the territory to clear all the ghuts and drains and include the use of sandbags. “We are actually using some of the areas highlighted in our study to give some of those high-risk areas immediate attention,” Mr Hodge said. All those $100,000+ consultants our gov’t been paying all this while on the books and we still here talking about experts. So who are they? clean the da#n place up first nah! Just a question: don’t you think those of us living in the territory will have a better understanding or knowledge on how the ghuts flows: just a question why someone else always have better understanding of our country....when will we grow up and become more self reliant!!! @Wize Up: “.........you can’t get a drainage problem corrected if you don’t live here to truly understand the conditions during heavy rains.” I take a different view/opinion to this conclusion. Though residents can provide valuable information on the flooding conditions during and after a heavy rain, you don’t have to live on island to design a fix for the drainage problem. Whether it is a local or external engineer/consultant, each will/should review flooding history, including interviewing residents, along with other factors to design a solution to the drainage problem. A few facts about water 1)water seeks its own level, 2)water flows by gravity from a higher to a lower elevation (water flows down hill), and 3)nature forms flow paths and drainage channels (ghuts) to collect and channel water out to sea. A survey of the lay of the land, coupled with other collected data, will provide information on what drainage structures/components, size and number of components, and where they are needed to arrest/alleviate the flooding problems. Drainage systems are designed to handle events up to a certain level. For example, if system is design to handle a 10-year event, a 25-year, 50-year, 100-year........etc rain event will result in flooding. The 07 August 2017 rain event was probably a 100-year+ event. The landscape in the Purcell, Pasea, Frett Yard.......etc was changed but the drainage system didn’t keep pace with the changes. Several watersheds, ie, Johnson Ghut, Butu Mountain, Fort Hill.....etc drain into small drainage channels that discharge into the sea. The drainage channels needed to be properly sized to safely carry the volume of runoff. The system needs to be designed with manholes, inlets/catch basins, under ground pipes, ditches .......etc to limit the spread of water on road during and after a heavy rain. My good colleague, we only need to dust off those countless plans that are already sitting in the Ministry, work with engineers already at PWD and the ministry, and those persons who are still alive and know the place to come up with an updated draft product in 3 months. Then have a public discussion and get more input and arrive at a final product in 1 month. Get the funding from the budget and get on with implementation. Each minister that comes in wants a new plan and that is more money. Please create deeper drains under the sidewalks with more and wider access holes so the water can drain away quickly. As the 07 August 2017 historic flood demonstrated, flooding is a major hazard and issue in the territory, impacting safety, growth and development, transportaion, quality of life........etc. Moreover, poor drainage is a major contributing factor to premature road failure. Further, the territory is small and hilly and runoff does not take long (hours, not days) to move along the drainage basin/watershed out to sea; with increasing development, less rainfall infiltrates into the ground and more runoff occurs. Runoff is the primary drainage component that must be effectively manage to prevent and/or minimize flood damages. Additionally, as land use changes with more hard surfaces created, ie, residential construction……etc the volume and velocity of runoff increases, resulting in increasing flooding and flood damages. and compounding the drainage management challenge. Consequently, as the territory rebuilds from the historic flood and the 2 decimating Cat 5 hurricanes, it needs a comprehensive drainage master plan as the blueprint to guide the rebuilding effort. A drainage master plan addresses a myriad of drainage issues, ie, slopes, pipes sizes, road crowns, gradients, channel sizes, conveyance, drainage appurtenances, drainage detention and retention, retaining walls, maintenance strips, road spreads, ponding, hydroplaning……etc. 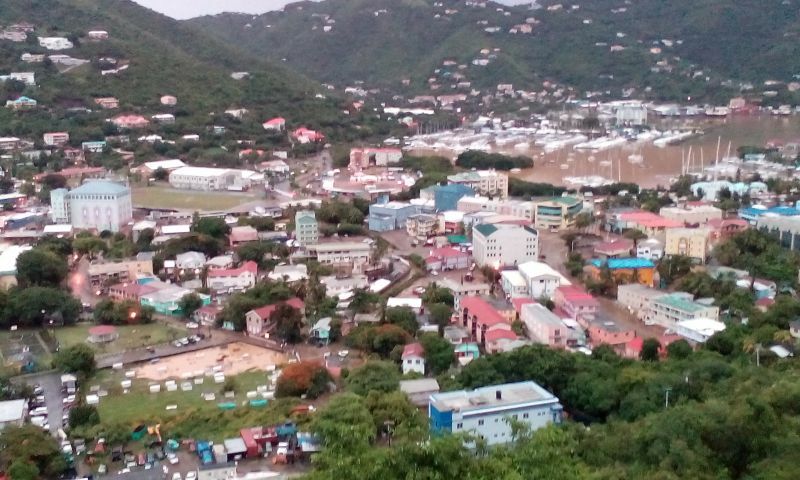 Moreover, uncontrolled or poorly managed drainage runoff, pose a serious risk to life and property; investment in and effective implementing of drainage a master plan is needed to protect life and property, reduce operating cost……….etc. Further, coupled with effective drainage system design and construction, is an effective drainage system maintenance. Every effort should be exerted to prevent dumping in ghuts and other drainage conveyance systems, periodically clean ghuts and other systems and avoid filling in ghuts without creating alternative drainage paths. Blocked or clogged drainage systems results in flooding upstream, ie, roads, property.........etc. It is vital and critical to avoid blocking the discharge point of drainage conveyance systems to prevent stacking and flooding upstream. No consultant nor engineer is needed to establish an effective drainage system maintenance programme.